So there’s this cool new device that I’ve been keeping under wraps for a few months now. Well the day has finally come where I can spill the beans and give you a glimpse at the new gadget that has found a permanent place in our home. It’s called The ZINK hAppy™. 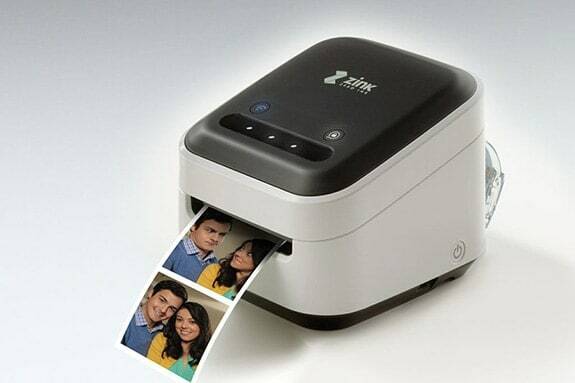 It’s a brand new device that stands in a new category all of it’s own, called a Smart App Printer. Now don’t let the term “printer” fool you. 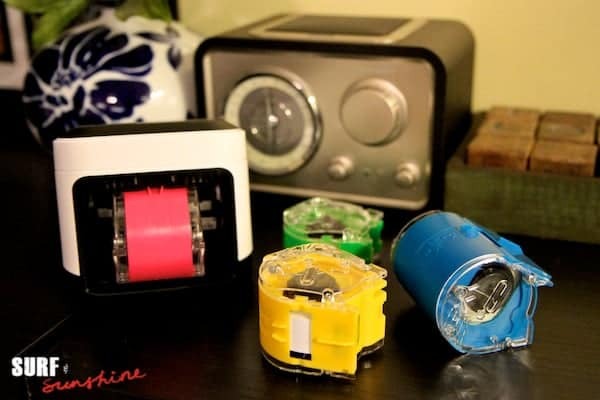 While it is a printer of sorts, it’s not like any you have ever seen or used! First of all, it’s small and portable… like throw it in your carry-on because you just can’t stop playing with it small and portable. *NOTE* if you knew me, you’d know that my hands are freakishly small. Second, it’s wireless – in both senses of the word. It does require a power source (via wall adapter), but you can opt to purchase a battery pack and ditch the wires, which I LOVE. The ZINK hAppy™ is also wi-fi enabled. Wait, let me clarify, not only is it wi-fi enabled (you can connect to your or any wireless network), but it also emits it’s very own wi-fi signal so you can connect directly from your smart phone or tablet WITHOUT a wi-fi network. Yes, feel free to bring this camping to play and create while the boys go do boy things. 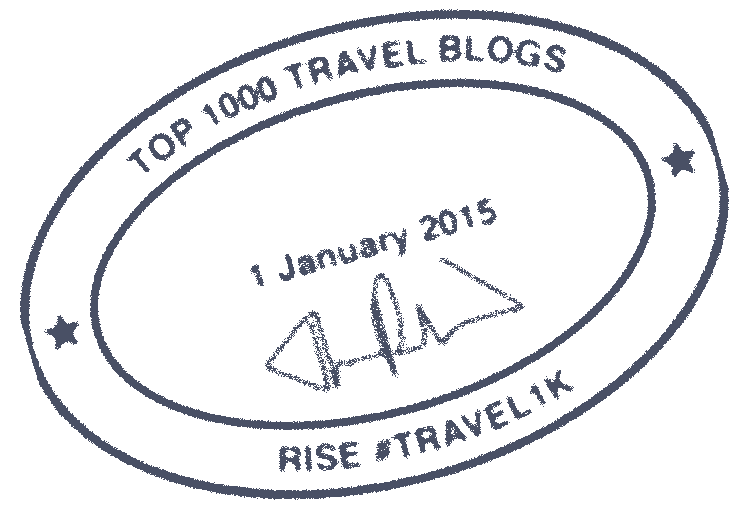 Third, and probably my favorite feature, is that it uses the ZINK® Zero Ink® Printing Technology which means NO INK. Yes, you read that right – NO INK. It’s like magic! 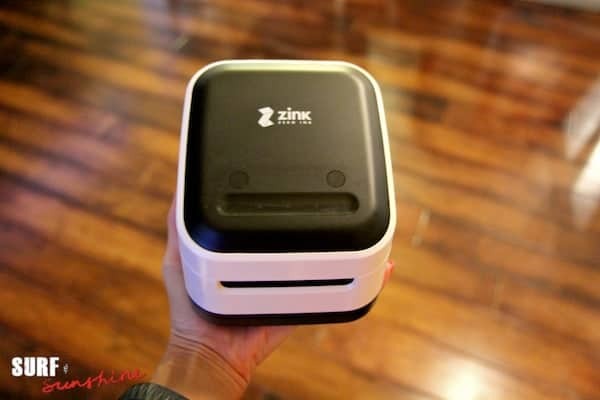 There are currently 5 different sized peel and stick ink-free ZINK zRolls™ you can use for unlimited crafting, organizing, gifting, educational, whatever you can think of uses. 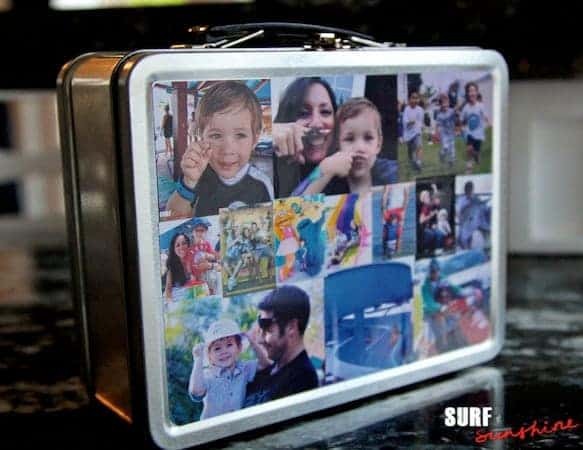 There are actually sooooo many more features and specs I want to share with you about this fun new device, but I know you guys are properly wondering when I’m going to get to what this post is about – How to make a DIY Family Memories Lunch Box. Armed with my ZINK hAppy™ Printer, my 3 year old son and I completed this project in about 15 minutes. I had actually found the lunchbox on a recent trip and immediately thought of the project as soon as I saw it. It already had a large sticker on the front, that when peeled off, left a paper-ish background that ended up being a perfect substrate for my photo labels. Even though the ZINK hAppy™ has a nifty dedicated app to design and print from, it is also AirPrint enabled. This means it shows up as a printer on your network and you can print directly to it from any AirPrint enabled app/device. For this project, we simply browsed through the Photo Gallery on my iPad and chose the pictures we wanted printed. Easy cheesy! We actually had a really fun time working on this easy project. Whistler ran to the printer and slid his finger across the top to cut the sheet and brought it back, each time with a squeal. He was able to peel each sticker for me while I placed it onto the lunchbox. And while the experience itself was great Mommy and Me bonding time, what I love best about this project is that it’s bound to be re-used as the years go by (for a baseball card collection?) and destined to be a keepsake to spark memories for a lifetime to come. A huge thank you to ZINK for providing me with the above mentioned products to create this fun family keepsake. I can’t wait to show you the rest of my projects as a ZINK hAppy Club Member. Stay tuned! Want one? NEEEEEED one? Get one here! Toddlers and Technology: Embrace or Reject? I’m thinking of all sorts of things beyond old lunch boxes that you can upcycle. Really excited to read more info on the current giveaway too. Fingers crossed! Thanks for reviewing this. This is a great way to make personal gifts!